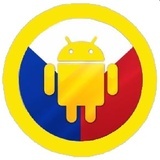 PinoyAndroids is a company managed and owned by a pure Filipino who aims to deliver high quality Android Smart Phones and Tablets to his fellow Pinoys. We pride ourselves in offering the latest high quality tech at amazingly low prices, brought right to your doorstep. We know that Filipinos are very competitive in the way that we work hard and continue to strive for success. Equip yourself for that success with the latest gadgets. This is Our Goal. Sell only Premium Quality Smart Phones and Tablets together with Great Customer Service. All for Pinoys.